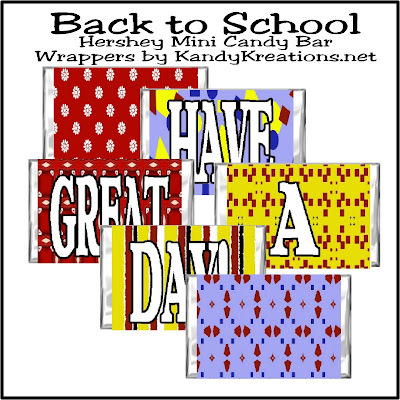 Chocolate makes everything better, even going back to school. 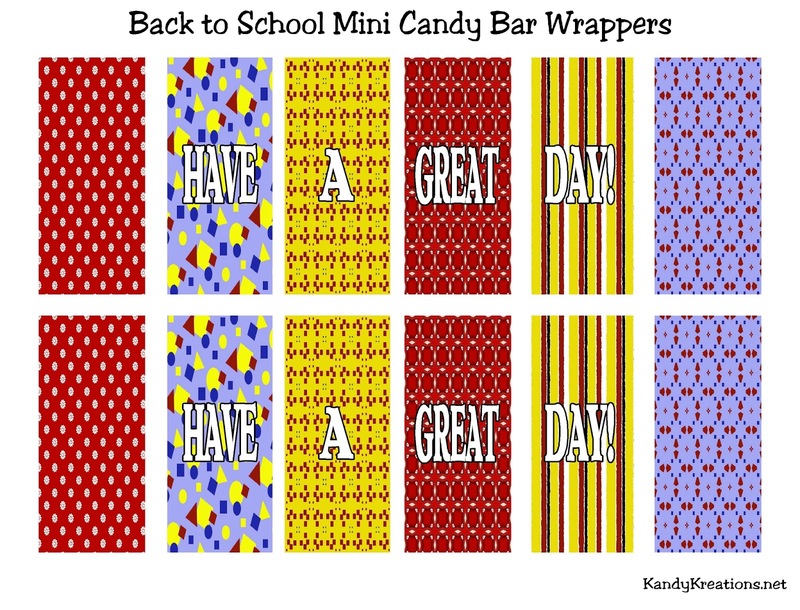 So set your kids on the right note with these Back to School Hershey Mini candy bar wrapper printables. Simply print, cut, wrap and enjoy! I'm in Texas today getting my eldest son set up for college. It's a bitter sweet moment. While he and I are both ready for him to get on with his life and start doing "big" things, I'm just amazed at how fast the years have flown and that we are where we are now with 2 of my kids out of the house. My other two start school on Wednesday, so it will be a quick rush home to get them ready and going for the next school year. But I can't send them out into the world with out them knowing mom is on their side and without a pocket full of chocolate to help them get through the day. This Hershey mini candy bar wrappers are perfect to slide into a pretzel bag as a fun treat for school lunches, or to add to your Back to School dinner party. 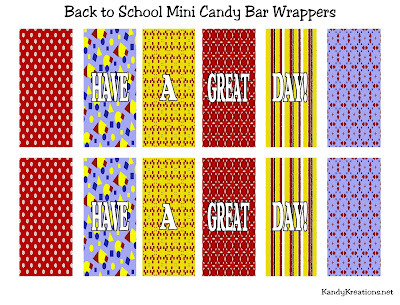 Simply print, wrap, and enjoy around a yummy chocolate treat. After all, chocolate makes everything better, even the first day of school, right?